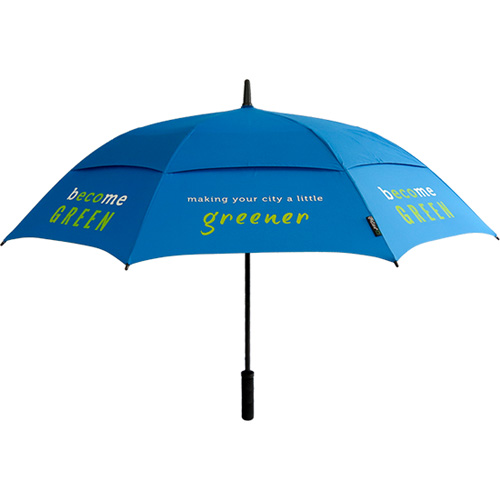 They’re inexpensive, look great branded and are a very useful item for Britain ’s weather. Also the April showers are on their way! Did you know…Umbrellas are reckoned to be more than 4,000 years old, with evidence of use in Egypt, Assyria and Greece. Initially designed to offer shade from the sun – umbra comes from the Latin, meaning shade or shadow – the Chinese were the first to use them as rain protection. Fact…There are about 130 rainy days a year in the UK, therefore when you give promotional umbrellas as gifts you can be assured that they will be kept and used on a regular basis. What else have umbrellas got going for them? Umbrellas are practical gifts, and because there are several types available, all budgets can be catered for. 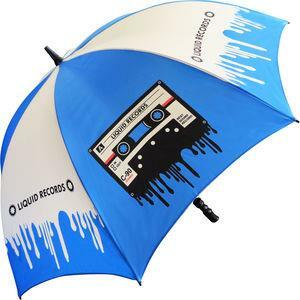 It’s worth investing a little extra in decent quality umbrellas for promotional merchandising purposes because they’ll be strong enough to stand the test of time, which is great for the user, and great for you as more people will see your brand. 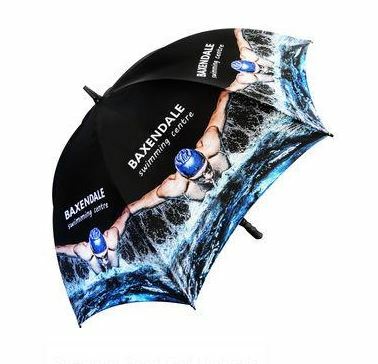 No problem at all with massive golf and fishing umbrellas but even the mini ones have plenty of space for company name, logo and marketing message. There are lots of design alternatives – opt to brand a single panel or the entire surface area. There are loads of colour choices too. But remember, you’ll want customers to feel comfortable about taking the brolly out and about so you might want to exercise a little restraint! You can print on the inside too if you want, as well as the handle. 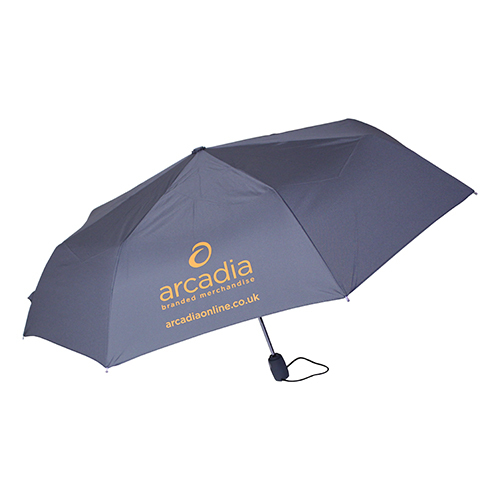 Umbrellas are likely to enjoy regular use in places that get a fair amount of rain, meaning a branded message or logo will be seen by a great many people. Large umbrellas are great for corporate and sporting events, while everyday ones are perfect for all occasions. High quality umbrellas are built to last. If blown inside outside, any decent one made with fiberglass ribs will let the canopy revert back to its original position without breaking. A strong and reliable build will give a positive and lasting impression.